Energy – traditional fossil energy sources are harder to extract and their consumption is damaging air quality and affecting the global climate. Health – bacteria once controlled with antibiotics are becoming resistant. In parallel the digital revolution is enabling wider access to information and global lifestyle expectations are rising. These challenges cannot be solved without new ways to respond to these inter-related economic, environmental and societal risks and to translate them into innovation opportunities. In 2015 the General Assembly of the United Nations adopted an agreed set of objectives for tackling these global challenges covering 17 areas. 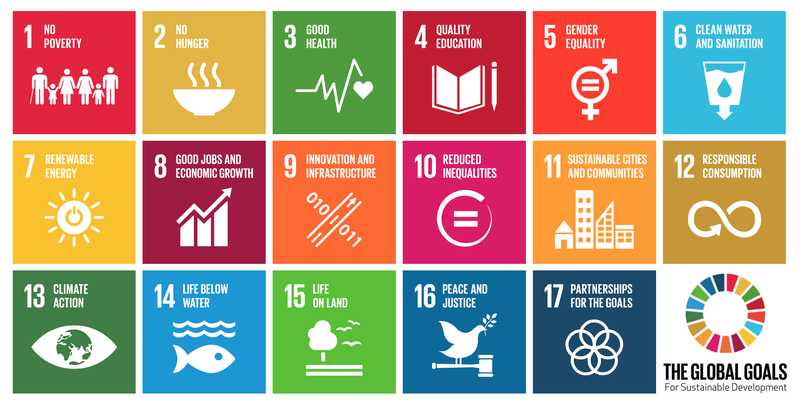 Known as the Sustainable Development Goals, they require both governments and corporations to generate innovative solutions that can have positive impact on the SDGs. The market opportunities that will be created by meeting these goals have the potential to deliver business savings & revenue by 2030 worth $12 trillion. Use of Data and Technology to create new insight and the information needed to enable individuals, businesses and Governments to make Smarter decisions. Leverage Collaborations by securing the buy-and commitment of stakeholders interested in each goal. Innovation to meet the goals requires formation of motivated multi-agency and multi-disciplinary teams to accelerate the implementation of smarter solutions.